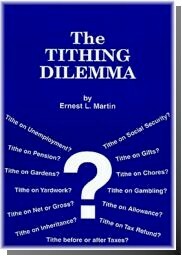 You can order The Tithing Dilemma here: Order Book . Chapter 9 - "Stealing" from God? Chapter 12 - A Change in the Law?